Years ago I was dating a man who spent an entire holiday season bragging about his aunt’s pecan pie: “The custard is like velvet.” “The crust is so flaky.” And on and on it went. What I soon came to realize was that his attachment wasn’t to that piece of pie, it was to the traditions it represented -- the traditions he was missing. Now we all know this Latin girl is not from the South. I can whip up a fierce flan but I’m at a loss when it comes to pecan pie. 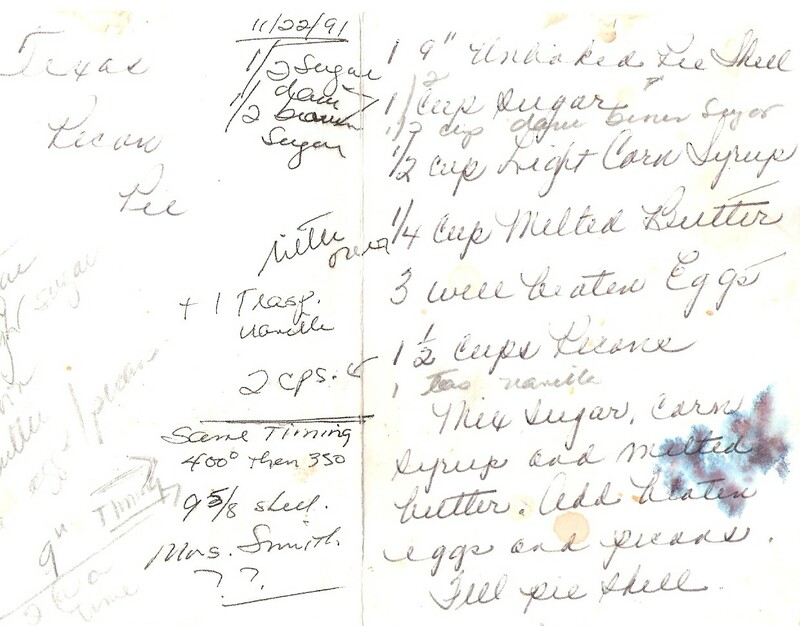 Determined to give my guy a slice of home, I turned to one of my clients for her family’s recipe for Texas pecan pie. To say it was a hit would be an understatement. It may have just been a pie, but to this guy it was evidence that I understood what it was like to be away from the ones you loved, I knew that the traditions of our childhood were powerful things, and, most of all, I cared. What about you? If you close your eyes and recall the tastes of your childhood, the memories of your holidays growing up, what comes to mind? In my family it’s pork. In fact, my son-in-law, who currently plays for the Atlanta Braves, once told a reporter that what he was most looking forward to over the holidays was my slow-roasted pork. We sit around the table, push up our sleeves and dive into that tender meat stopping only long enough to grab some greasy pork rinds. It may not be everyone’s idea of Thanksgiving, but it’s ours. 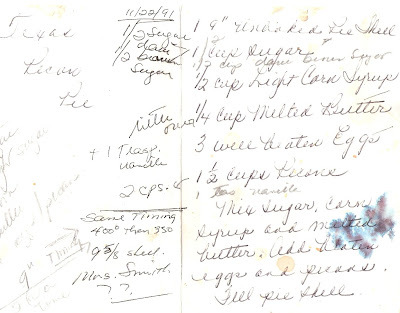 Over the years, I’ve tweaked that pecan pie recipe -- added a bit of this and a touch of that -- and I hand it out over the holiday season. I’m no longer dating that man, but his pie still lives on. I hope that everyone who eats it tastes more than just a yummy dessert. I hope, like him, they taste the love. Mix sugar, corn syrup, and melted butter. Add beaten eggs, vanilla, and pecans. Fill pie shell. Bake at 325 for 30-45min. I move/wiggle the pie while inthe oven before taking it out, if the center moves, it is not done. Check every 5 mins. If the crust is cooking too fast, cover border with foil. Cool thoroughly before slicing. If Time Is Currency, How Are You Spending Yours?